We are a full-service investigative firm with one purpose in mind and that is to provide you with the factual information needed to make the best decisions moving forward. We proudly offer various solutions to the legal community and assist counsel with building a solid, winning case. To prevail in your civil matter, the preponderance of the evidence must be in your party’s favor. Whether you represent the plaintiff or the defendant, the professionals at Brown, Kaszak, & Associates can provide the due diligence necessary to obtain evidence for a compelling argument. 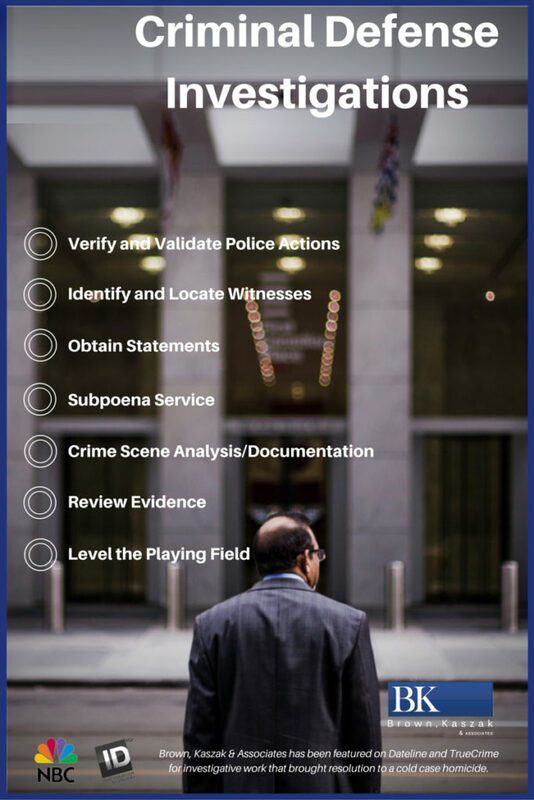 There are many ways to establish reasonable doubt in a criminal defense investigation. Whether physical evidence found at the crime scene must be challenged or contradictions in witness testimony needs to be highlighted, our investigators will dig to find the information needed to establish that doubt. 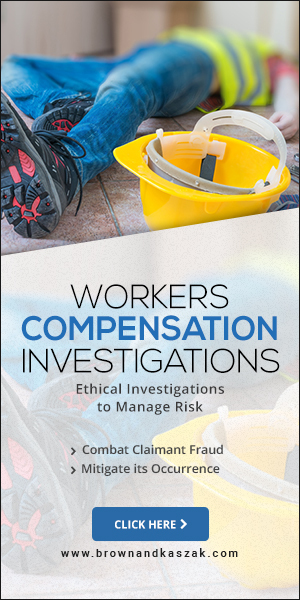 Claims exceeding damages, falsifying dates on insurance claims, and staging slip-and-falls at work are just a few of the ways fraudsters gain dishonest sources of income. Our investigators can covertly document a claimant’s activities and obtain evidence to put a stop to this type of fraud. We represent attorneys, Third Party Administrators (TPAs), Claims Adjusters, Self-Insureds, SIUs, and Human Resources Professionals. Unfortunate life circumstances often compel folks to call upon us to perform Family Law Investigations. Our team of seasoned investigators is meticulous and thorough in each and every investigation and possesses a high level of skill in the covert techniques that are often necessary for these types of investigations.